Overhead view of the land. 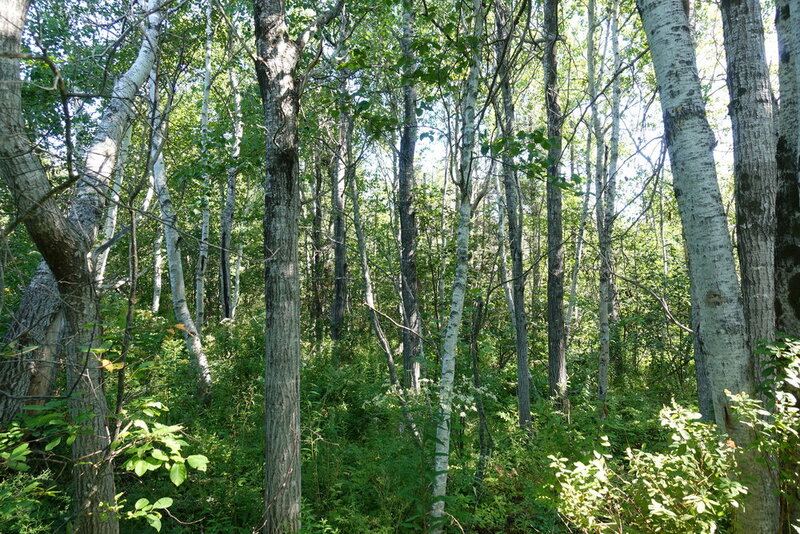 Since this picture was taken, much of the alder and brush on the roadside half of the property has been cut and cleared. 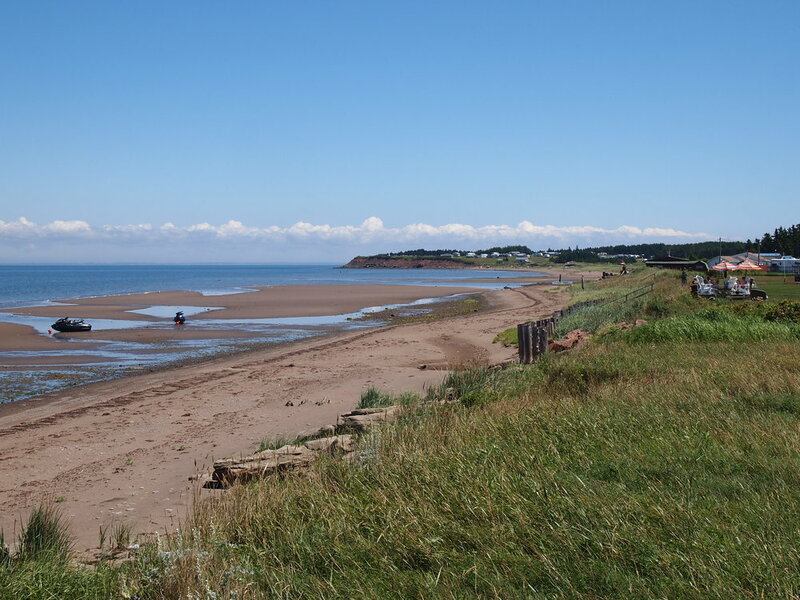 View along Murray road to the coastline. 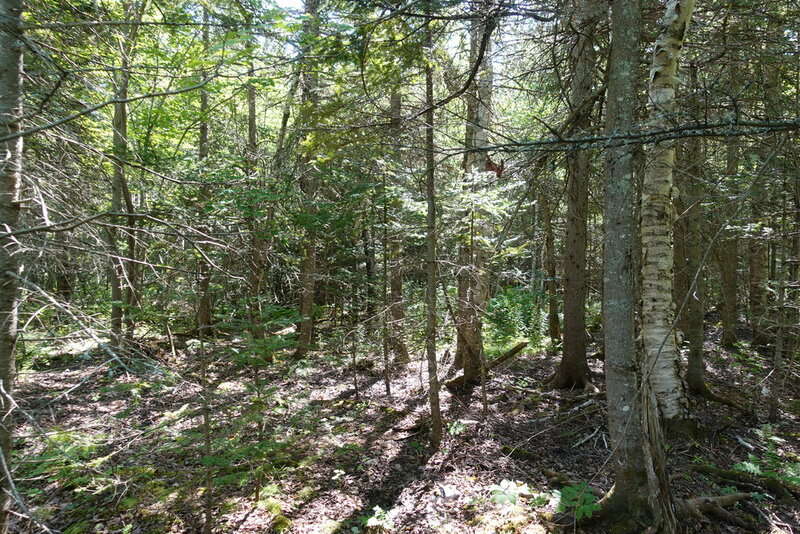 Forested area on the property bordering Scott Stephens Brook. Northumberland Coastline just a few minutes from your land. 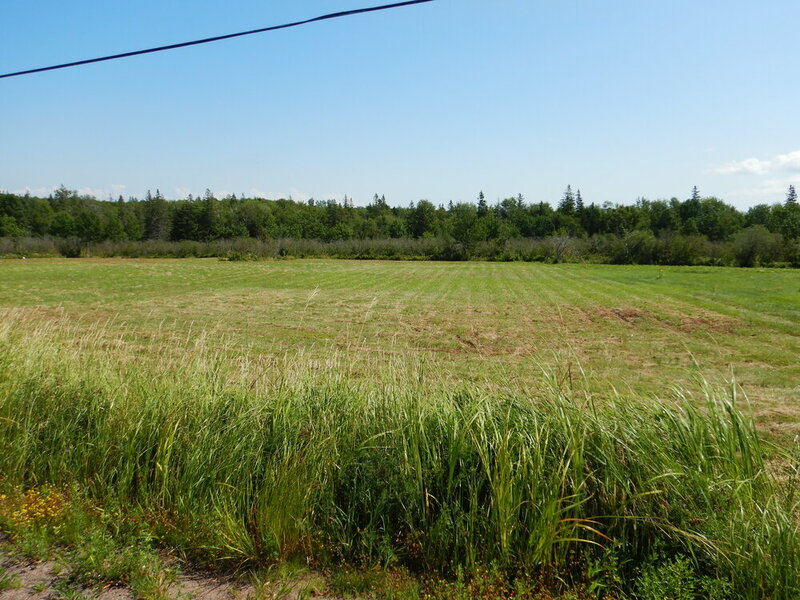 Here is a survey photo highlighting your land (Lot 18-4 Murray Road, PID 70644604). 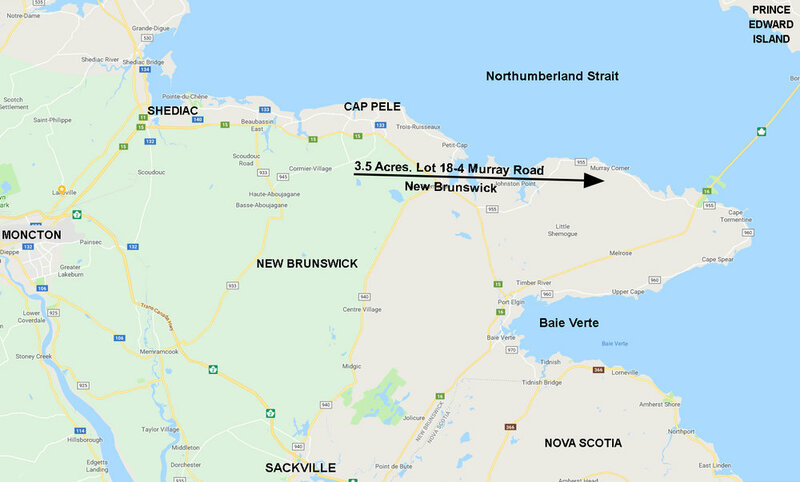 Land located at the East Side of Murray Road, in Murray Corner, in the Parish of Botsford, in the County of Westmorland, and Province of New Brunswick. 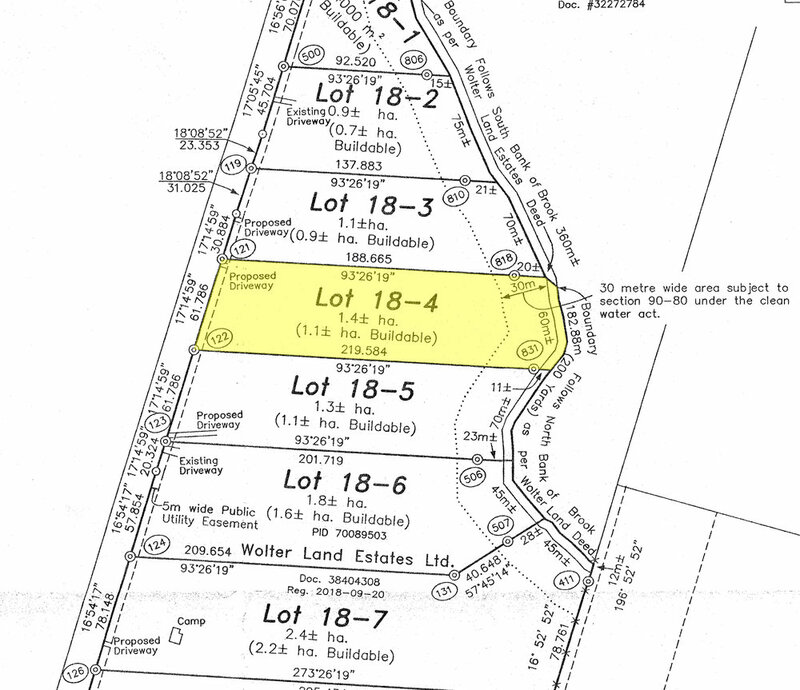 Lot 18-4 on a registered plan of subdivision. 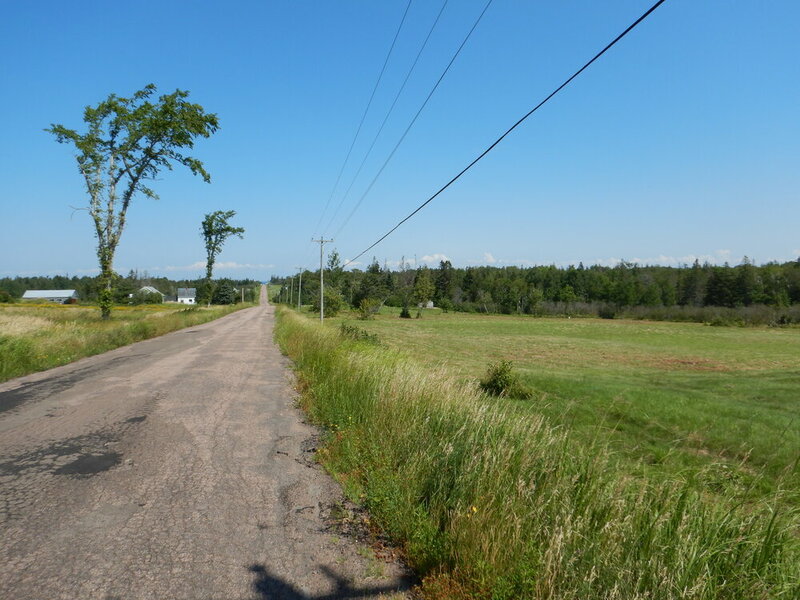 - 202.7 feet (61.8 meters) of road front along Murray Road. 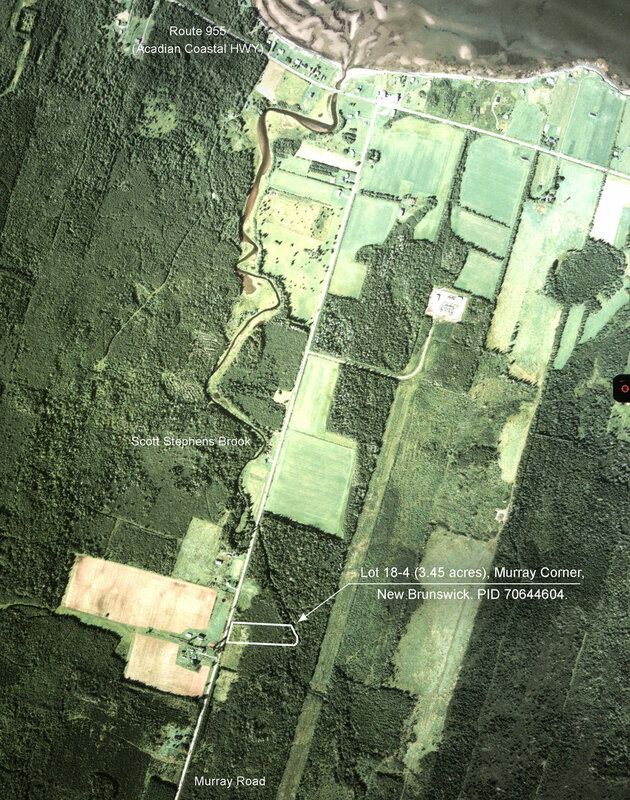 - 196+/- feet (60+/- meters) frontage along Scott Stephens Brook. 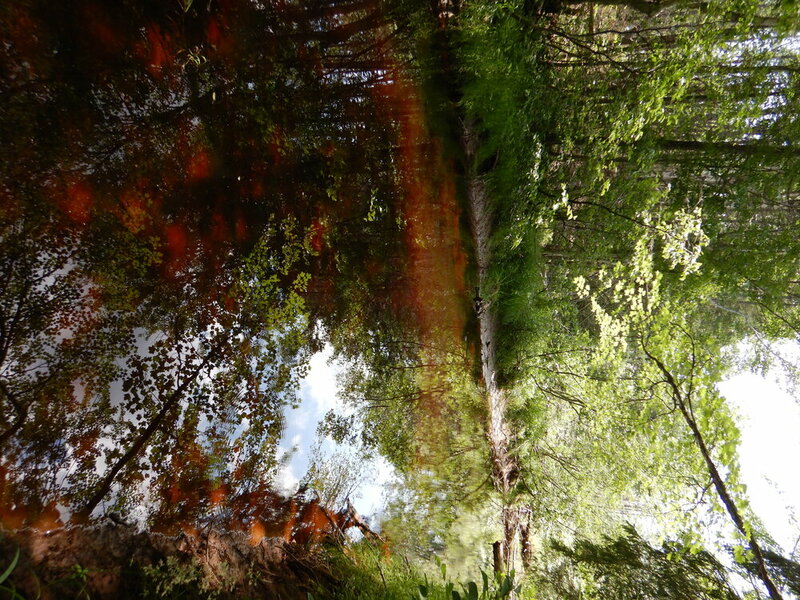 - An average depth of 669.7 feet (204.12 meters) from roadside to the brook. - Survey work recently completed. 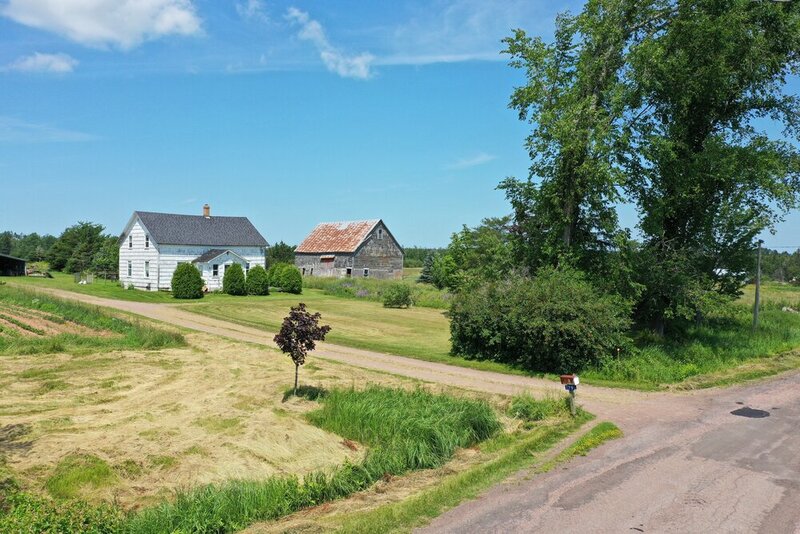 - Under an hour to the City of Moncton with all amenities, shopping centres, Universities, health care and the Greater Moncton International Airport. 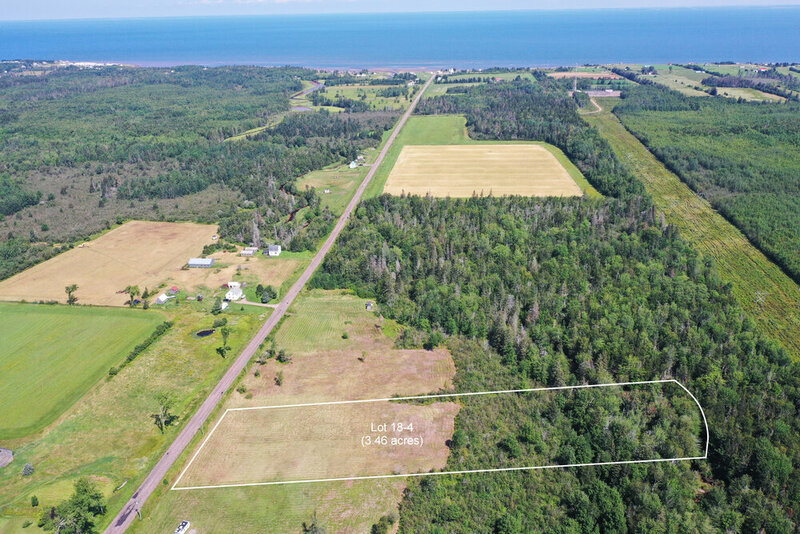 This surveyed 3.5 acre parcel offers 202.7 feet (61.8 meters) of road front on the east side of Murray Road in Murray Corner – a lightly settled rural farming and recreational area with friendly residents, nice home, cottage and recreation camping sites, open farm land, woodland, beautiful sand beaches and warm ocean waters. 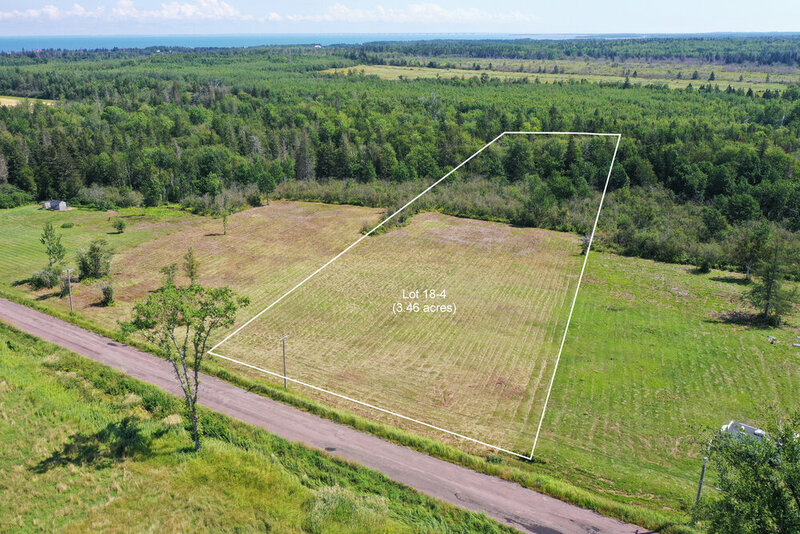 Your lot here provides you with plenty of room and privacy and to develop the land to your liking (See survey plan). 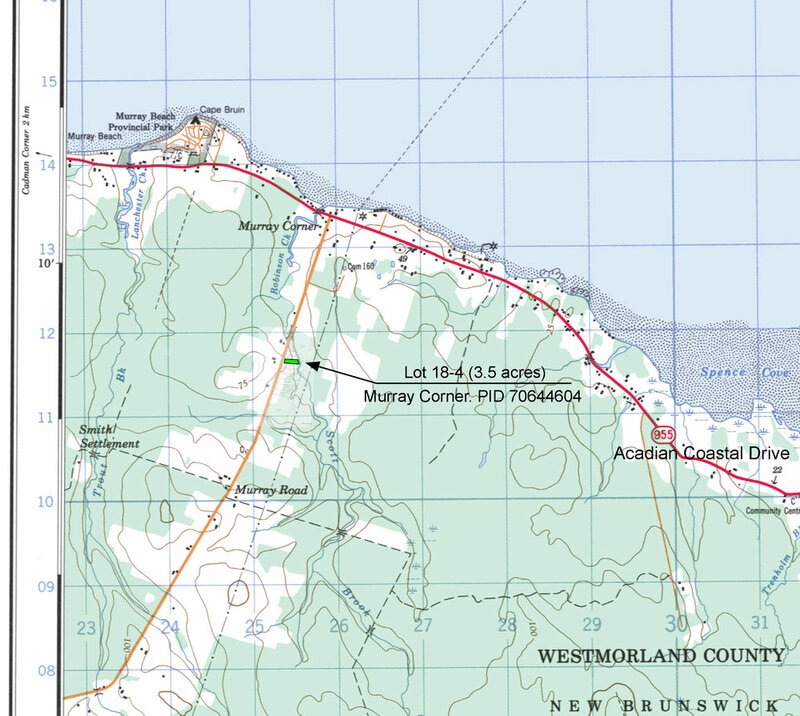 Topography of the land is more or less level to gently sloping from west to east, and being approximately 35 feet above sea level. 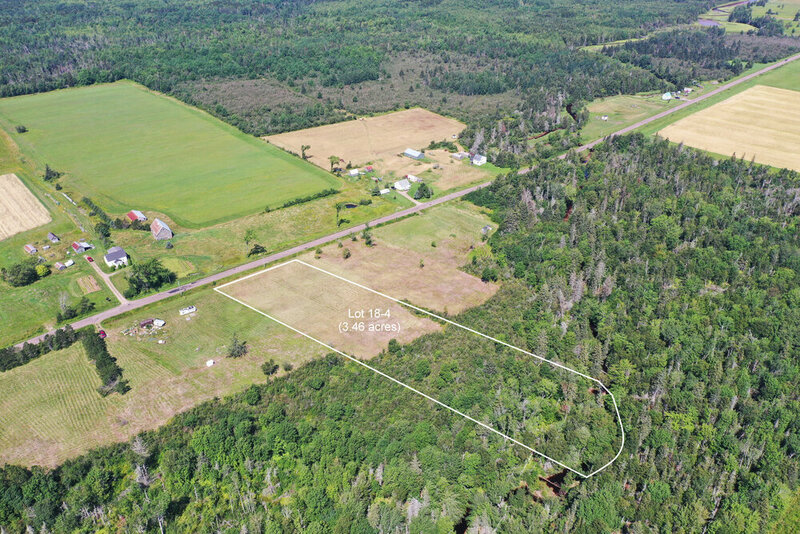 Roughly 1/2 of the land is open field and the remaining 1/2 of the land is densely treed leading up to Scott Stephens Brook, in spruce, fir, poplar and maple trees. 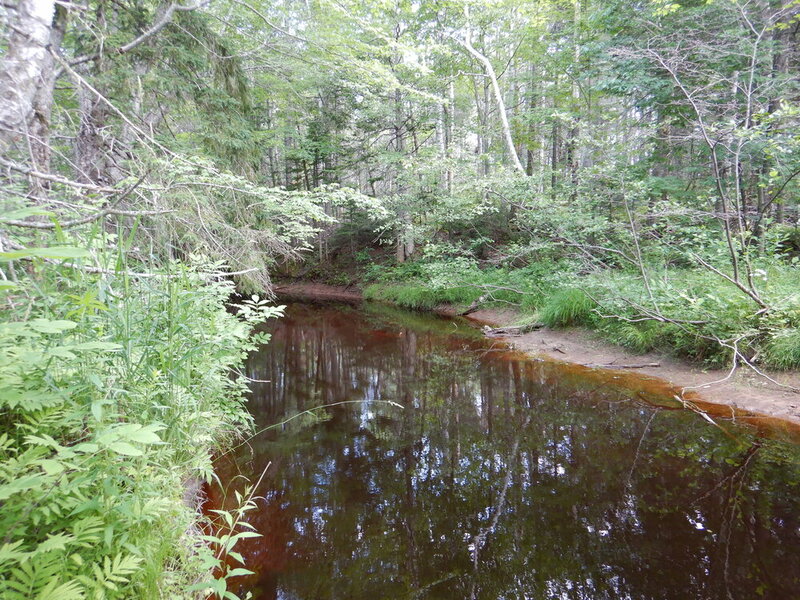 The east end of your land is bordered by Scott Stephen’s Brook – 60 meters (196 feet) frontage – and it is said to be Sea Bass fishing here in season.